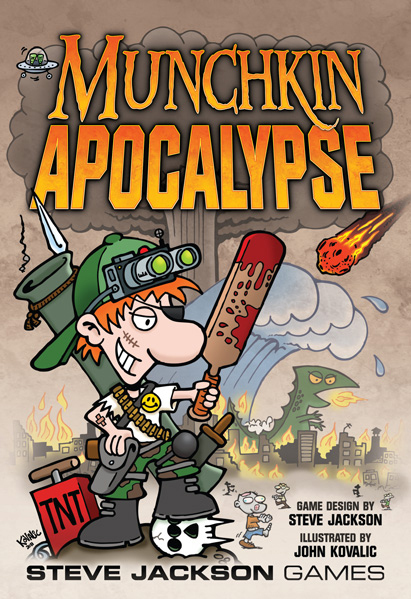 In Munchkin Apocalypse, every possible natural (and unnatural) disaster has happened . . . or is about to. You are a rugged survivor in a world full of people - and things - that want to kill you and take your stuff. So do it to them first! New from Bandai is this Premier Edition to their Star Trek Deck Building Game series - Star Trek: The Original Series. You are the Captain of a Federation Starship with a standard crew and basic weaponry. Will you use your crew's experience to improve you ship's systems or to recruit more experienced crewmen to your ship? What type of Captain will you be? 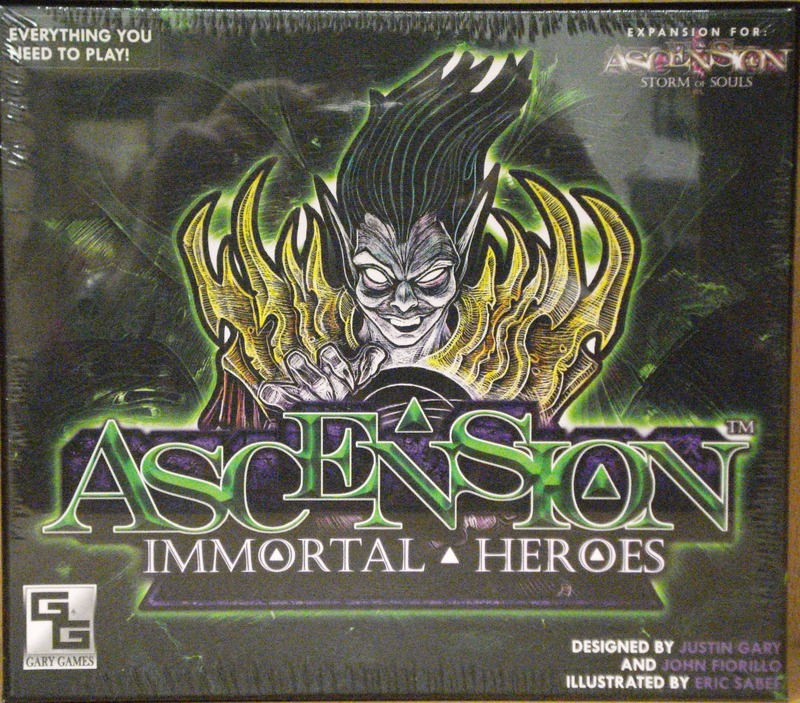 Newly released from Gary Games is Ascension: Immortal Heroes. 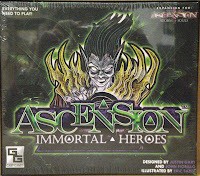 This can be played as an expansion to the popular deck building game Ascension:Storm of Souls or as a stand-alone 2-player game. 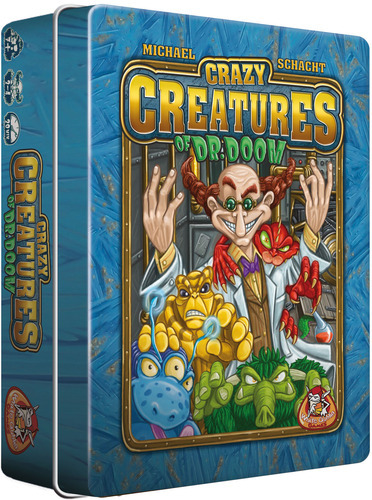 New from Stronghold Games, Crazy Creatures from Dr. Gloom is a card game designed for ages 7+ and features fast turns and a very simple rule set. Each player takes a turn playing a card onto one of the machines of Dr. Gloom. The goal is to get rid of all of your cards as cards in hand score penalty points at the end of a round. The player with the fewest penalty points at the end of the game wins and become the new apprentice of Dr. Gloom!